For those unaware, Hearts of Iron IV is the latest instalment of Paradox Development Studio’s WW2 themed grand strategy game, which has been in development for some time and seen a number of delays. Release does seem close now though, as shown in an article published by BTRE. I’m not going to include the entire post on here since it’s pretty hefty, but for those looking for further details, it can be found here. Essentially, it’s showcasing some pretty exciting modding capabilities which mean that - for the first time - it can be done through a GUI rather than sifting through the game folders. Of course, what’s particularly interesting to us is that all these screenshots are clearly on Ubuntu, which not only means we’ll have the modding tools running natively, but it seems to indicate that there’s devs over at Paradox who are using Linux for development beyond porting. One of the screenshots from the post, very clearly showing the Unity desktop environment. Paradox’s grand strategy games are well known for being incredibly moddable, and the developer has been hosting and encouraging a large modding community long before it was a very mainstream thing to do among big developers. In fact, I recall modding (with my very limited skills) the original Victoria over a decade ago and downloading tonnes of user-created stuff from the Paradox forums back then. It’s very nice to see the process is even easier now, especially with the nice addition of the “error dawg” who appears within the modding tool to bark at you if you’ve made mistakes. This eliminates much of the trial and error of before and would certainly make me get back into modding these games if the features are expanded into Europa Universalis IV, Crusader Kings II or an eventual Victoria III (seriously, please). Paradox has shown us a lot of love, publishing the likes of Cities Skylines and Pillars of Eternity day-1 on Linux. There's also developing games such as this and Europa Universalis IV, one of the first major games to be released day-1 on Linux and Crusader Kings II, which was one of the first games released on the Steam Linux client. In the coming months, aside from HoI 4, there's also Stellaris, a game which has many of us very excited. Paradox might be my overall #1 favorite publisher. Not only because they have shown us great support, but it's also one of the few ones you can blindly buy games from and know they are good. I am very excited about Hearts of Iron 4. Me and a friend loved to play Hearts of Iron 3, and it's just awesome to see it's successor coming to Linux. I keep telling myself that one day I will get to sit down and play a full game of Crusader Kings II, I still have yet to make it through the tutorial I just have far too many games to play. Hearts of Iron IV looks amazing like an amazing game, as does Stellaris. 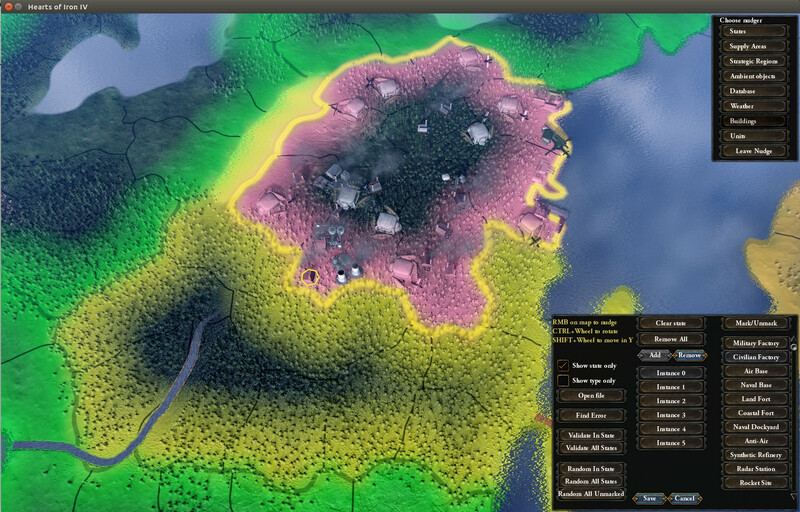 And, yes, Paradox gets top marks in my book for their outstanding Linux support. They were one of the first developers on Steam for Linux with Crusader Kings II, Europa Universalis IV was a Day 1 Linux release, and patches and expansions get Day 1 Linux support. Sad they only make their "grand strategy games" otherwise I might be interested. That and their DLC ridiculousness. slaapliedje I keep telling myself that one day I will get to sit down and play a full game of Crusader Kings II, I still have yet to make it through the tutorial I just have far too many games to play. I played 30 hours and didn't finish a game yet. I'd play more if I could play on my TV in my living room. The Steam Controller would work perfectly well for it, just the issue is that the games are very text- and UI-heavy, and both are unusably/unreadably tiny in a Big Picture setup. I just don't have it in me to sit at a computer desk all day programming, and then sit at one all night gaming. It hurts everytime a developer uses Ubuntu. StianTheDark It hurts everytime a developer uses Ubuntu. At least they're not just using Windows.